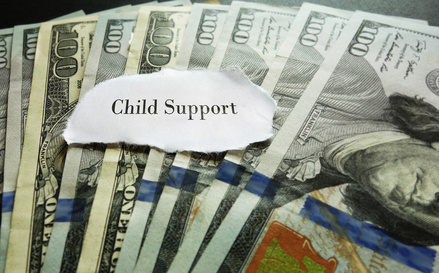 The child support modification law in Dallas, TX, and other states give parents the flexibility to increase or decrease the child support amount, provided there’s a valid reason for the change. If you or someone you know wants to file for child support modification, it is advisable to do some basic research to clearly understand the grounds on which the judge may change the order. In addition, it is always better to take the help of a child support lawyer, especially if the case is disputable or an attorney is already representing the other party. The blog post discusses some of the aspects that will help you understand child support modification law. Child support amount primarily depends on parental income, and any change in income of any parent could be a good reason to apply for modification. If the paying parent is laid off or gets demoted, the court might reduce the support amount on request. Similarly, if the parent starts earning more, the court can modify the amount according to the additional income. In addition, a significant increase or decrease in the income plays a critical role in modifying the child support amount. The state law of New York, for instance, requires a minimum 15 percent increase or decrease in either parent’s income. Some state courts have a limit on the number of times parents can request for child support modification. Parent, for instance, in Dallas can request modification only after three years have passed since the issue of the last order. If the amount of child support previously ordered by the court differs by either $100 or 20 percent per month from the amount that would be approved as per the new child support guidelines, the court might approve the modification. Although there is no fixed timeframe for amount modification, cooperation from both parents significantly speeds up the process. Seeking the assistance of a child support lawyer helps in modifying the amount and closing the request sooner than the expected time. The lawyer determines if the client is eligible for a modification in child support and files a petition in the court. If you are looking for experienced child custody lawyers to help you in modifying the child support amount, get in touch with 123 Custody Company. If you wish to learn more about your rights or child support modification law, call us at 214-599-9979 for a free consultation.